Add some glamour to your fingernails with easy nail art designs that are themed around sparkle, glitter, gradients and polka dots. 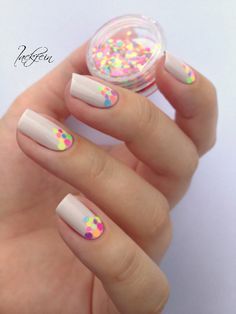 This summer, have fun with your nails! Are you bored of your monotone nails? 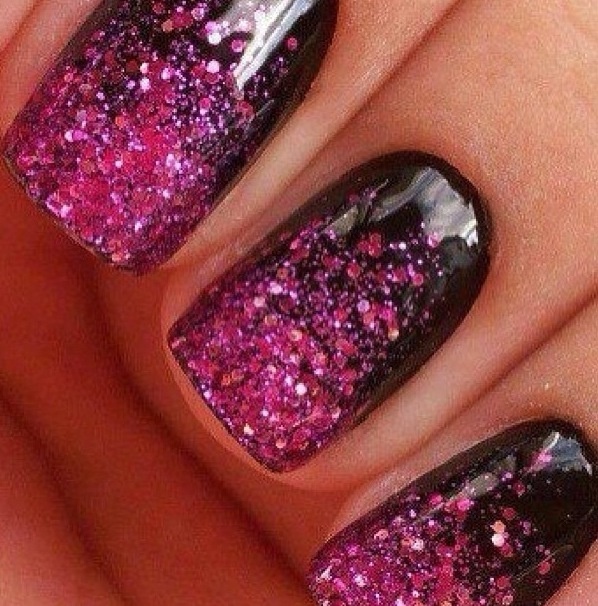 Want to add some glitz and glamour to them without spending a fortune on expensive nail spas? 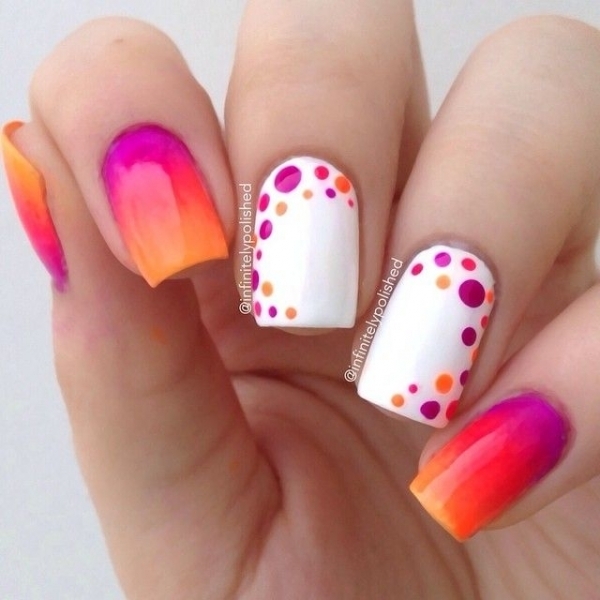 We’ve got you some fabulous DIY nail art ideas that are simple yet so beautiful. And don’t worry, you don’t need to be an artist to try them. All you need to do is follow these simple tricks and the results will be spectacular. 1. 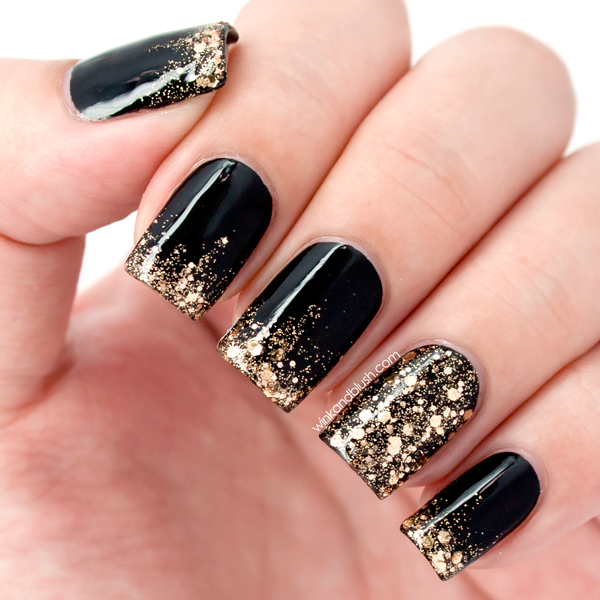 All that glitters is gold: Bling up your dull monotone nails by adding some gold to it. Paint your nails bright (black being a personal favorite for this design) and let them dry. Apply a clear top coat uptil half of your nails. Now sprinkle some gold dust on them while your top coat is still wet. This design is simple yet adds instant glamour to your otherwise boring nails. 2. 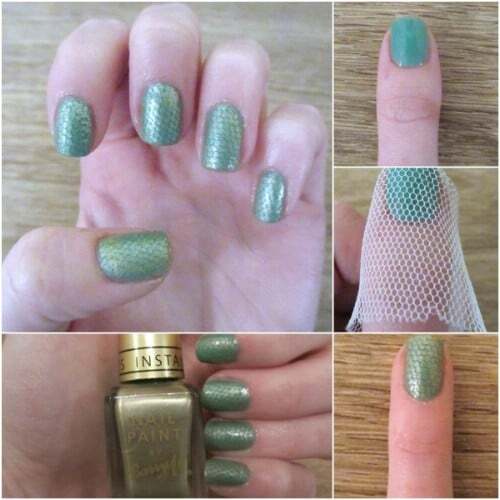 Love that loofah: Loofah makes for an excellent stencil for an intricate fishnet nail art design. Simply paint your nails with a base color and allow it to dry. Now hold the loofah net over the nail and paint it with another color and you’re ready with your two tone fishnet style nail art. 3. Tap the tape: Paint your nails with a clear base coat (for negative space nails) or a color base coat (for two tone nails) and let them dry. 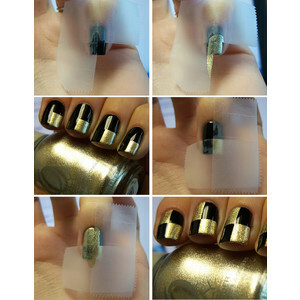 Get your creative side working and stick scotch tape over your nails in different shapes and styles. Now apply another color on top of your nails and carefully peel off the tape to get gorgeous looking nails. 4. 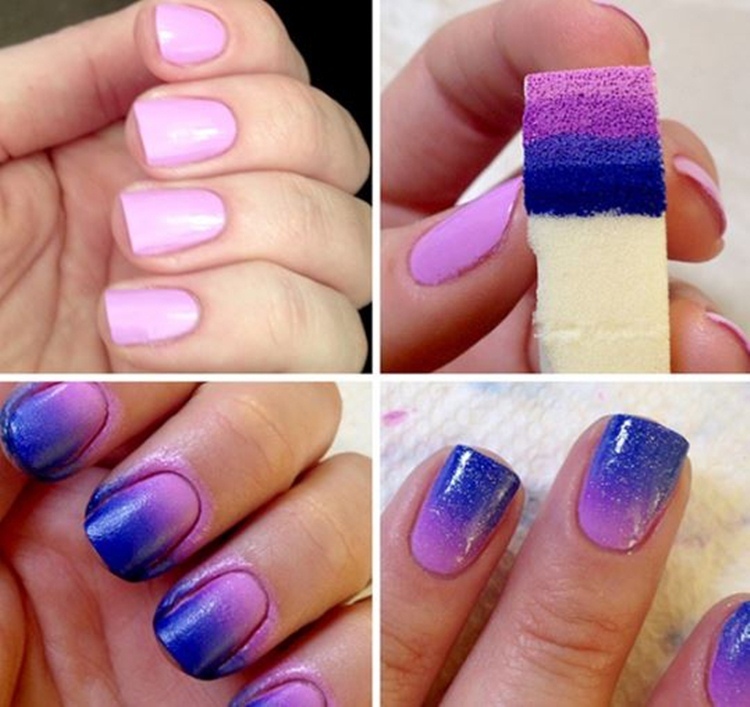 Going gradient: Ombré nails look so lovely and can be achieved using a sponge. You could use two or more colors for this design. So pick up your nail colors and apply them right next to each other on a sponge. Now dab on this sponge onto your nails. You might need to repeat this exercise two to three times to get the desired gradient effect. Follow this up with a clear top coat to even out the colors. And don’t forget to clean up the sides of your nails with a Q-tip. 5. Polka pattern: Feeling girlie and playful? Then nothing works better than polka dots. Paint your nails with a neon color. 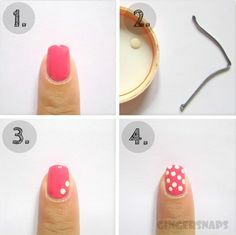 Now pick up a bobby pin and dip the round part of it into another nail color and start dotting your nails. You could choose to dot just the tip or maybe try a vertical pattern or work up your gray cells to create a design of your choice. So these were a few simple tricks for a DIY nail art. Try them out and get back to us with your pictures.